Minnesota is adding Alzheimer’s disease as a qualifying condition for medical marijuana, a move that could provide a boost to MMJ sales. More than 94,000 Minnesota residents are afflicted with Alzheimer’s, according to the Alzheimer’s Association, but it’s unclear how many of those will enroll in the program. Those who do will be eligible to begin receiving MMJ products from the state’s two suppliers on Aug. 1, 2019. As of Nov. 29, there were only 13,853 active MMJ patients in Minnesota, according to state figures, although the program recently has been growing at a fairly steady pace. Minnesota, which launched its medical marijuana market in 2015, has had one of the nation’s most tightly controlled programs, with a ban on flower and, initially, only a few qualifying medical conditions. Currently, 13 conditions qualify for MMJ, including seizures, cancer, post-traumatic stress disorder and intractable pain. About 65% of Minnesota’s MMJ patients are certified with intractable pain. Alzheimer’s was added as part of the Minnesota Department of Health’s annual process for seeking public input on which conditions should be included on the list. Six petitioned additions were rejected, including opioid use disorder, panic disorder and traumatic brain injury. 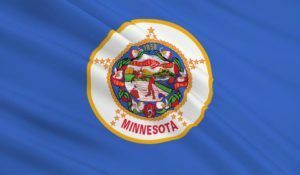 “Any policy decisions about cannabis are difficult due to the relative lack of published scientific evidence,” Minnesota Health Commissioner Jan Malcolm said in a statement.